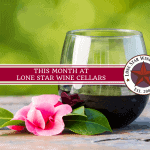 February is loaded with exciting happenings at Lone Star Wine Cellars! 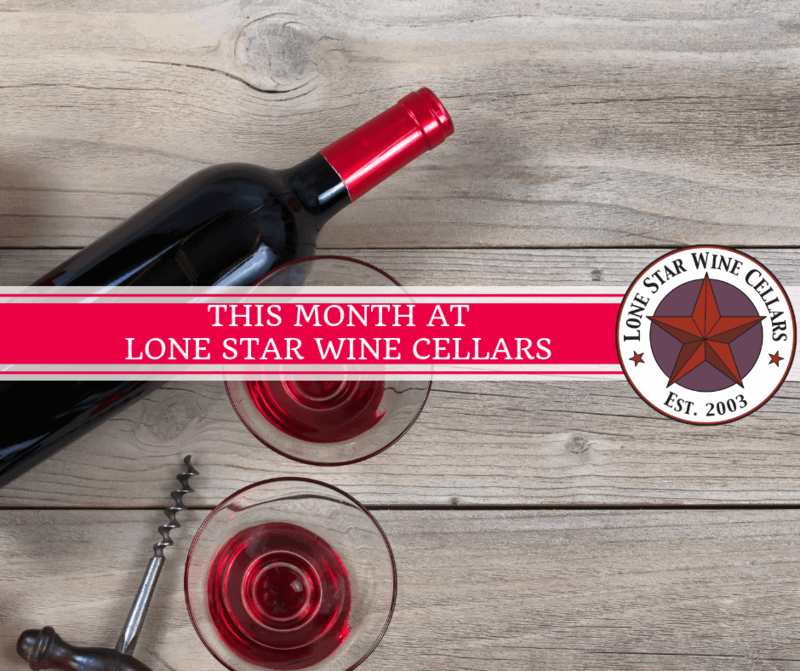 Travel club events, multiple wine pairing events, a newly released vintage of an all-time favorite wine and so much more! If that just doesn’t do it for you, this will! Champagne Jello Shots are for sale this month only as an off-menu secret product! Come visit us for your pick-me-up! FEBRUARY MUSIC SCHEDULE – Live @ Lone Star! 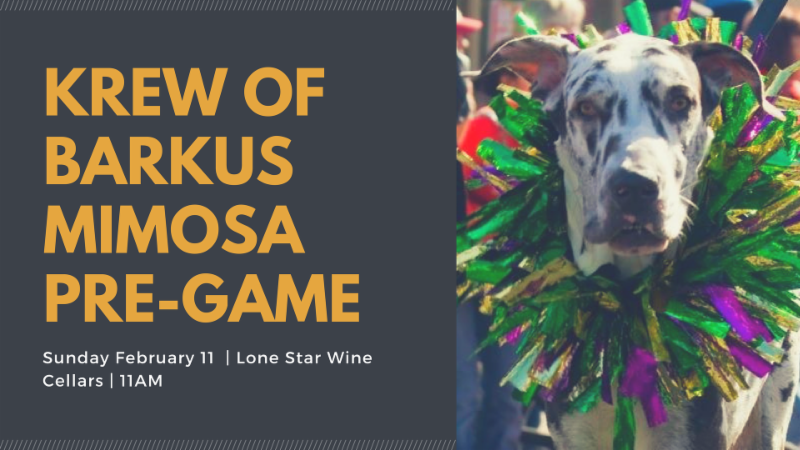 Join us for a fun and casual wine pairing event on Valentine’s Day! We will be pairing bundtini cakes from Nothing Bundt Cakes with some of our award winning Triple R Ranch wines. Learn tips and tricks to combining flavors that will make your taste buds sing! Seating limited. Barefoot Travel Agency / VinoDestinations will be holding an informational meeting for our 7-Night Melodies of the Danube wine-themed river cruise benefiting the North Texas Wine Trail! The seven night river cruise is scheduled for March 23, 2020. Join in on the fun times with us from Budapest to Vilshofen aboard AmaWaterway’s beautiful ship, the AmaViola. Together we will cruise down the extraordinary Danube river discovering wines and seeing the alluring sights of many beautiful cities such as Budapes, Vienna, Linz, Passau and Vilshofen. While on-board Lone Star’s wine experts, Bob and Hope Payne will be conducting three tasting seminars and a gourmet wine-pairing dinner, prepared by AmaWaterways’ award-winning culinary team! If you would like more information about this amazing experience, please join us at our info session Monday, February 18th at 6pm at Lone Star Wine Cellars or contact Wendi Cartwright or Debbie Stevens from Barefoot Travel Agency/ Vino Destinations. Click here to review cruise details. February is a month to celebrate our love for friends, family, neighbors and of course WINE! Join us for the February Wine Club pickup party, February 21st. Plan on enjoying juicy chicken piccata from Sicily’s ($8.50 per plate). Musically talented David Christian Aguirre will impress and entertain you with his impeccable guitar picking and smooth vocals. His extensive playlist covers modern country to folk rock and Latin. David’s talents will ignite your inner warm, fuzzy feelings as you sip on the Triple “R” Ranch & Winery 2010 Reserve Mountain Lion Meritage and the newly release 2017 Grey Ghost Pinot Grigio…true keepers! Meritage, first let’s just get the pronunciation down correctly! Many people have the tendency to “Frenchify” it by pronouncing its last syllable with “zh”, as in the US pronunciation of “garage”. However, the Meritage Alliance specifically states that the word should be pronounced like the word “heritage”. Now that we have that cleared up, Meritage just looks and sounds like the marrying of flavors which is exactly what this wine is!! A portmanteau of merit and heritage! Our 2010 Triple R Ranch Reserve Mountain Lion Meritage, hails from the High Plains vineyards of Texas. With a blend of Cabernet Sauvignon, Malbec, and Merlot grapes , this varietal possesses a deep ruby color with the initial aromas of dark berries, plum and fig coupled with an earthiness of clay and anise. Delectable on the palate with subtle notes of rich vanilla bean and mocha on the mid-palate. A long-lasting mouth-filled finish. This wine is a perfect pairing with a hearty steak or roasted leg of lamb. Bon Apetit and Bottoms Up! This month our music schedule is full of new talent and fan favorites!